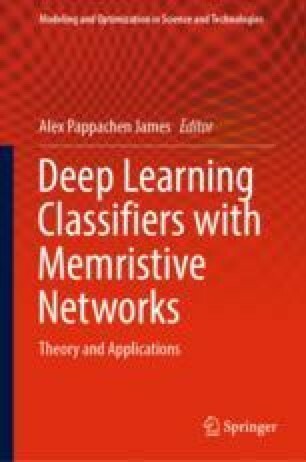 This chapter provides with an overview of the motivation and direction for neuro-memristive computing hardware. The emergence of deep learning technologies has been largely attributed to the convergence in the growth on computational capabilities, and that of the large availability of the data resulting from Internet of things applications. The need to have higher computational capabilities enforces the need to have low power solutions and smaller devices. However, the physical limits of CMOS device and process technologies pushed us in the recent years to think beyond CMOS era computing. A promising solutions is a class of emerging devices called memristors, that can naturally blend as a viable computing device to implement neural computations that extend the capabilities of exiting computing hardware. The full potential of neuro-memristive systems is yet to be completely realised and could provide ways to develop higher level of socially engineered machine cognition. Generalization and expressive power of deep neural networks outweigh the simplicity of shallow neural networks. The crossbar memristive arrays function as a dot product operator useful for performing weight summation of inputs in a neural network layer. Implementations of memristor based neural computing is area and power efficient, and provides the possibility to perform analog computations of large scale neural networks on chip. The stability of memristor devices, process reliability and maturity for industrial manufacturing, packaging issues and accuracy of very large scale circuit simulations will be the key factors for the success of neuro-memristive chips.